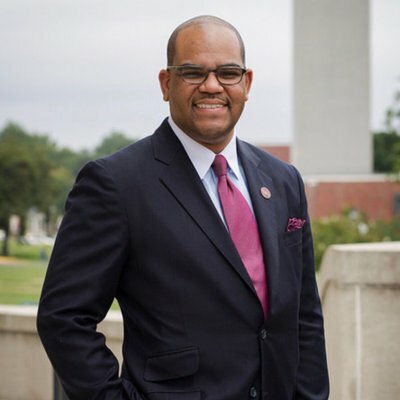 Virginia Union’s President, Dr.Hakim J. Lucas, Ph.D. is using the power of social media to give $50,000 in scholarships to students. Lucas has been able to reach out to 25 students to ensure them that they can come back to VUU in the spring of 2018. “I want you to come back to VUU in the spring,” Lucas said. He has attained his goal of reaching out to the 25 students. Students have responded back through social media as well. Lucas has garnered more support over the past week, and he has been able to offer 56 more scholars scholarship money for the Spring of 2018. “We will be posting 56 names of students we have identified are ready and equipped with the grit and the grades to make it through VUU,” said Lucas. Lucas and other faculty and staff are doing everything in their power to ensure their students are able to return and finish their studies at Virginia Union. “We felt it was best to allow the deans to be able to identify the students who had the greatest need. That’s a little different, normally you see people go to the financial aid office, and that’s not really what they do. You know we are a family here,” said Allia Carter, Vice President for Enrollment Management and Student Affairs. Students have until December 22nd at 6pm to get in touch with Dr. Lucas and receive their scholarship. According to Virginia Union, any unclaimed money will be redistributed to other students in need. These students are missing out on their scholarships and we don’t want them to miss out! They have until 6pm today to get in touch with me. Lucas began his appointment as Virginia Union University’s 13th President on September 1, 2017. He replaced Joseph F. Johnson, Ph.D., who has served as Acting President since July 2016.